DiMarco Construction Company - Di Marco Construction general contractor servicing Santa Clarita California. Home renovations servicing santa clarita california. We work hard to make sure that you are 100% satisfied with our services. 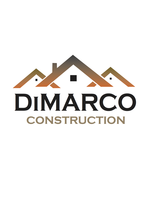 Di Marco Construction Company has a reputation for being an honest, hard working, customer-oriented company. We work very hard to earn that reputation, and we will continue to work hard each and every day to maintain it. With years of experience we will guide you through our service, from the beginning of the process until the end. We pride ourselves on making sure that every client that we meet will be satisfied.